Yes, I ran 20 miles again. How did it go? Much better that two weeks ago. I got to the lake around 6am but waited a little because it was still very dark and I was not going to run alone in total darkness. Ten minutes later I was cruising along. Great weather. I wore a long sleeve shirt because it was chilly but yet perfect for running. I did make a few stops along the way but managed to finish in 4:06:20. The best part was that I ran without my iPod. It just so happens that something is wrong with the headphones and I cannot hear the music on the left side. So annoying!!! I was “entertained” with the lakefront view, the sounds from the cars along the lake front, and of course the conversations by the other runners. However, I don’t think I will have all of this at the Hartford Marathon so I definitely need to get a new set of headphones. By the way, my legs feel fine. A little sore but I can actually walk around without limping. Definitely a good sign. I can’t believe that the marathon is in less than 3 weeks. Yes, I am ready to tackle this race!!! 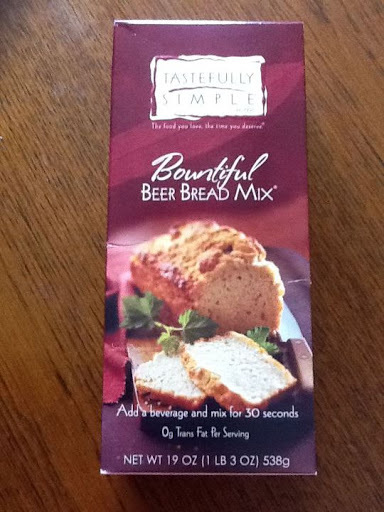 On a different note, I am making beer bread from “Tastefully Simple”. Yes, it is made with beer and it is THE MOST DELICIOUS bread and so easy to make. Just add a 12 oz. bottle of beer to the mix, stir for 20-30 seconds, spread batter in a loaf pan and bake for 50-55 minutes. I love eating this with spinach dip. This bread is for my book club this afternoon. I will do a taste test and hopefully I won’t eat it all. I ran 20 minutes yesterday. I was up a little before 5am because I wanted to get to the lake early to begin running. Well, I did not know that the lot “officially opens” at 6am. I could have left my car in the lot but you see the wonderful city of Chicago charges its residents to park in the lots by the lake. It is not too expensive but still. I paid for 6 hours which came up to about $3.75. It was just a WONDERFUL day for running. It was just the kind of weather I would like to have on October 15 for the Hartford Marathon. As usual I started too fast but I still managed to run more than walk. Once I completed 10 miles I turned around and mentally told myself “going home, going home”. It was around mile 14 that my quads were hurting really bad and I had a nasty blister on my right foot. I have to remember to put band-aids or something for my next long run in case I get another blister. I struggled the last 4 miles but managed to keep on running. Overall finish time was 4:12:37 (12:35 pace). 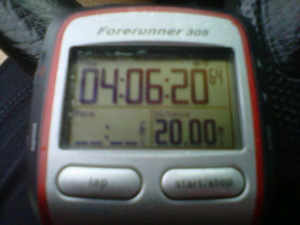 Not as fast as I would have liked but still pleased with completing 20 miles. I am planning another 20 mile run in 2 weeks. Once at home it hurt to go up the stairs. Sigh. Why did I agree to live on the 2nd floor? Since I was too tired to stop at the gas station for ice, I partially filled the tub with cold water and sat there for about 10 minutes. Not too bad. I had my iPad so I caught up on Facebook and email. I told myself that next time no excuses and I will stop at the gas station for ice. I am happy to say that I am not as sore as I thought I was going to be. Sure my quads are still sore but not too bad. Was it the chocolate milk? The cold bath? Was it all the walking done yesterday? Well, whatever it was simply worked. Hopefully in two weeks I will share a similar or better story…no pain at all!!! Or maybe that is asking too much. What are your thoughts on ice baths? How soon after a long should you take one? I ask because I want to be ready for when I complete the Hartford Marathon. Obviously the first thing I would want to do is eat, eat, and then eat some more but should I do the ice bath first? Rock ‘n’ Roll Chicago Half Marathon….or was it really a half marathon? What a great day for a race! The race began at 6:30am so I had to be up at 4:30am. By the time I got ready, stretched, and ate a peanut butter & jelly sandwich it was about 5:15. Of course I made it just in time to drink water, go to the bathroom, and stretch some more. I guess I got lucky and ended up in Corral 7 which was not too far from the starting line. 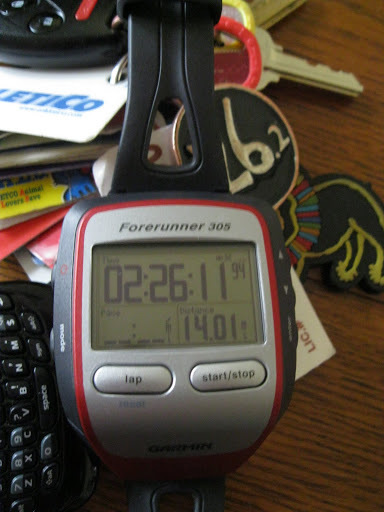 I don’t have correct mile split times because my Garmin was off. I have it set up to Auto Lap by Distance. According to it I completed 14.01 miles. Seriously? Who is wrong the Garmin or the people that measured the course? Overall I was pleased with my finish time – 2:26. My goal was to finish it in less than 2:30. I knew I was not going to set a PR for two reasons: 1) my training has been so so this summer and 2) I had this pain on the bottom of my right foot that by the end of the race the pain was all the way up my leg and to my lower back. After the race I had to stop at the medical tent for an ice pack. I did like the race and the course. The weather was just perfect!!! To be honest I really don’t care too much about the live music along the course. The only reason I ran this race is because I signed up for it last year during the 2010 race expo. There was some kind of promotion going on and I had the chance to register for next year’s race for only $55. Yes, that is correct. I was thinking of signing up for the half marathon in Las Vegas in December and almost fainted when I saw the fees. Why, why, WHY? Why so much? I cannot justify spending $140 for a half marathon. Seriously why so expensive? I see that next year there will be races in Madrid and Scotland so I will be interested to know how much the fees are for those races. One race that I MIGHT do is the marathon in New Orleans. It is only $95 till October 31. Any thoughts on the Rock ‘n’ Roll Marathon Series and their ridiculously fees? I love Asics! My first pair of running shoes were Asics. I went to Fleet Feet on the advice of some friends. I tried on a few pairs and walked away with a pair of Asics Cumulus. Oh my! I remember them being very comfortable. 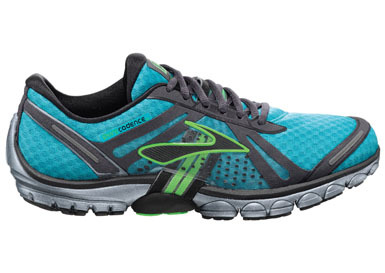 I ran my first marathon in Asics Cumulus but made the mistake (will never happen again) of running with a new pair. Ugh!!! Fast forward a few years later and I have also ran in Pulse, Cumulus, Landreth, Kayano (all from Asics), Brooks Adrenaline, and Mizuno (cannot remember which pair). I have had good and bad times with the shoes. 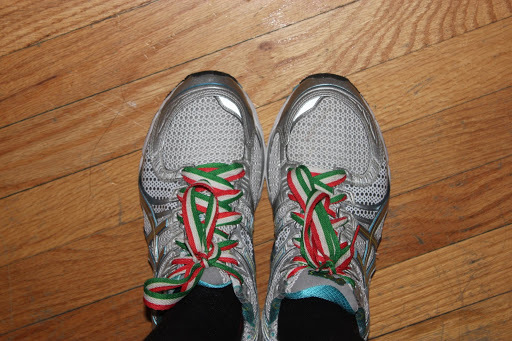 Overall, throughout the years I have learned that Kayano are the ones for me. They fit me very well and are comfortable. Did I mention that I love them? 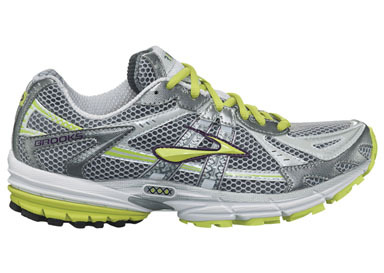 I started wearing them this week so these should last me well past the Hartford Marathon in October.